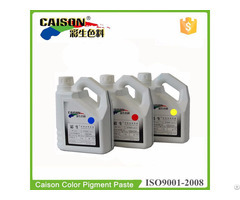 CD series eco-friendly textile one-bath cationic dyeing water-based pigment dispersion is new product developed by us, professionally used for different components and forms fabric. 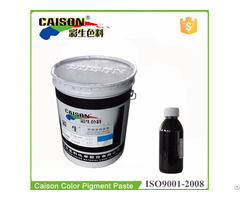 Compared with the traditional pigment paste, process is simpler, no need for cationic pretreatment of yarn or fabric, one-bath cationic dyeing, without leveling agent; saving dyeing time, reducing material consumption costs, reducing water & electronic consumption and wastewater discharge, it's an energy-saving and environmental protection dyeing process in textile pigment dyeing. 3). Applicable: cotton, linen, polyester, acrylic and so on; or yarn, fabric and garment. 7). 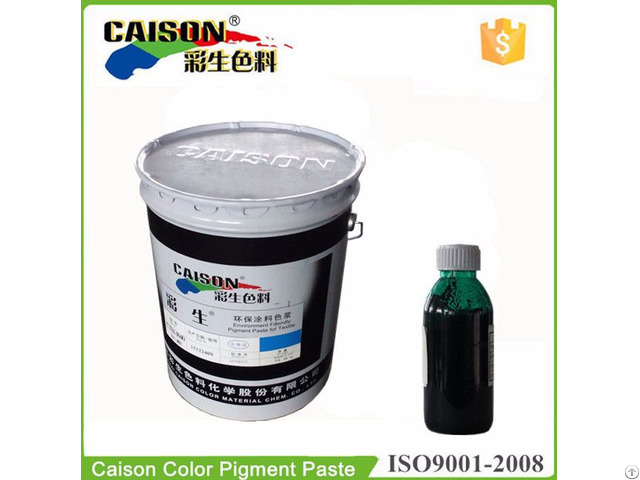 The same as traditional pigment dispersion, CD series pigment dispersion can be used for dyeing secondly cooperated with dyes. 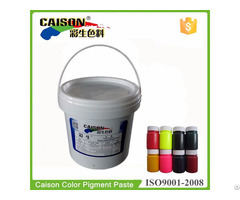 All testing are depended on printed pure cotton cloth with 10% pigment dispersion of water paste. If the customer exceeds the above conditions, please make the sample testing before mass production;.